Heavy duty stuff sacs made in a 420D PU coated nylon. Ideal for use in high wear applications for example for gear organisation within big wall haulbags or within pulk bags. 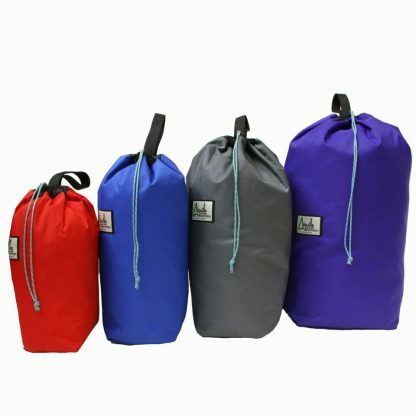 Handy stuff sacks for valuables, jackets or anything else you need to keep in one place. Draw cord opening with webbing hang/attachment loop large enough to take a hand.